This is a fuller version of the obituary for Bert Dobbie, that appeared in the Glasgow Herald, 26 February 2018. 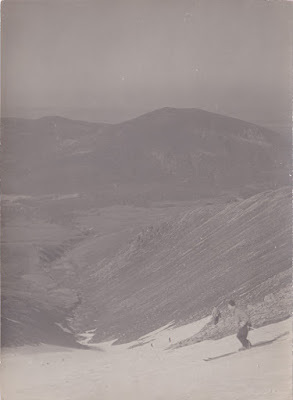 Robert Dobbie, known as Bert, was an engineer, mountaineer and skiing pioneer. He died last Saturday in St Margaret’s Hospice, after a short illness, aged 93. The last time I saw him he was watching the opening ceremony from South Korea, where the world’s best skiers were gathering for the Winter Olympics. 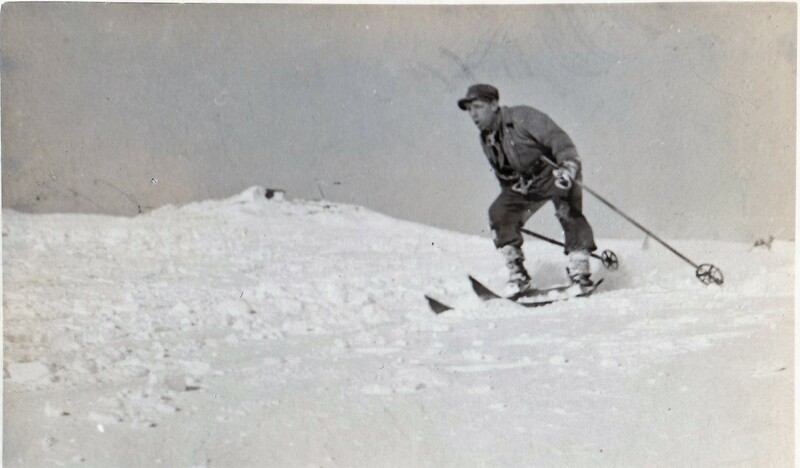 In Scotland Bert was one of the people who built the early ski tows and ski huts for a fledgling sport, and for many years led the team that ensured the safety of skiers and evacuated the injured from Glencoe. He was brought up in Maryhill, close to the Maryhill PublicBaths and Wash House, in a large family with nine brothers and sisters. 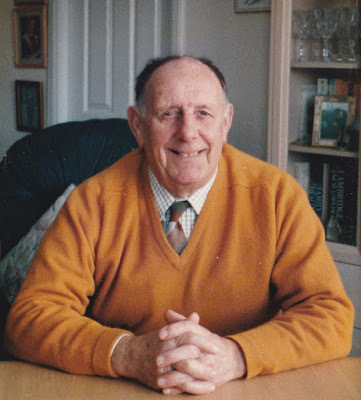 He was born on 12th July 1924 to Robert, who worked as a leerie, and Margaret. As well as running the home she worked in a chip shop, out in the morning to peel potatoes, and again at night to sell fish and chips. 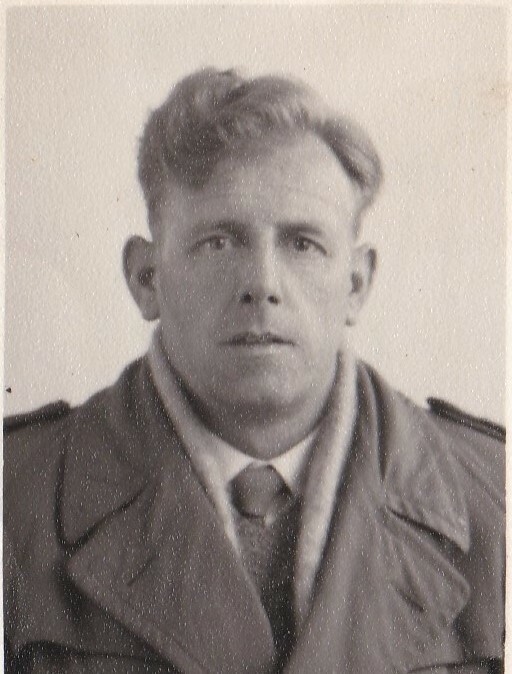 He started his working life as a boy in Maryhill delivering newspapers to the soldiers in Maryhill Barracks, earning tips by discreetly smuggling in cigarettes amongst their more mundane supplies. After leaving North Kelvinside School, aged 14 he began working in a grocer’s shop in Cleveden. 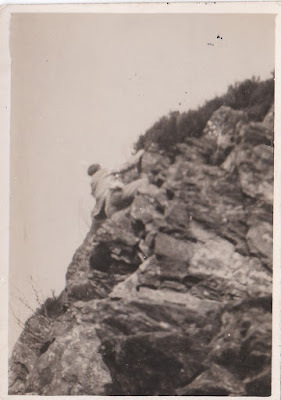 He played the bugle in the local Boys Brigade, and early climbing experience for Maryhill boys could be found on the high dykes or on the rough walls of a local stable, the dung midden at the bottom providing a soft, if unappealing landing if you fell. 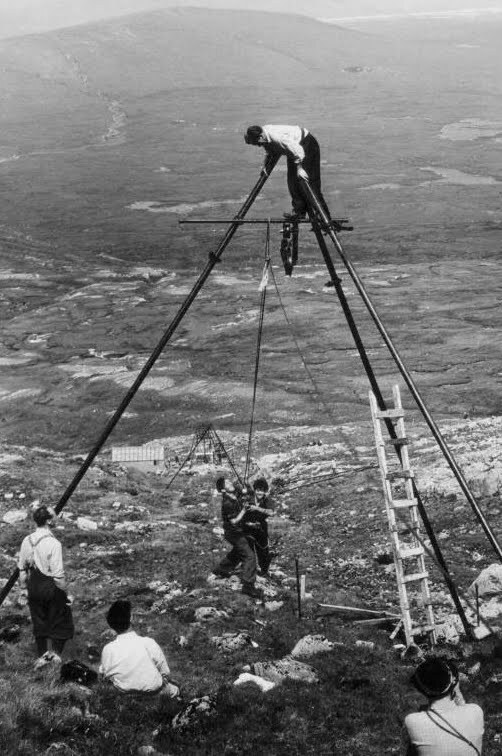 It was in the 1930s that working-class men and women from the cities of Scotland started to take to the hills for recreation and Bert was part of that unofficial movement. Their pioneering spirit established the rights to roam in the Scottish countryside that we take for granted now. The ethos of these people was encapsulated by those that sat around the Craigallian fire, on the Carbeth estate. Discussions around the fire would range from walking and climbing tips, to debates on Socialism and the Spanish Civil War. 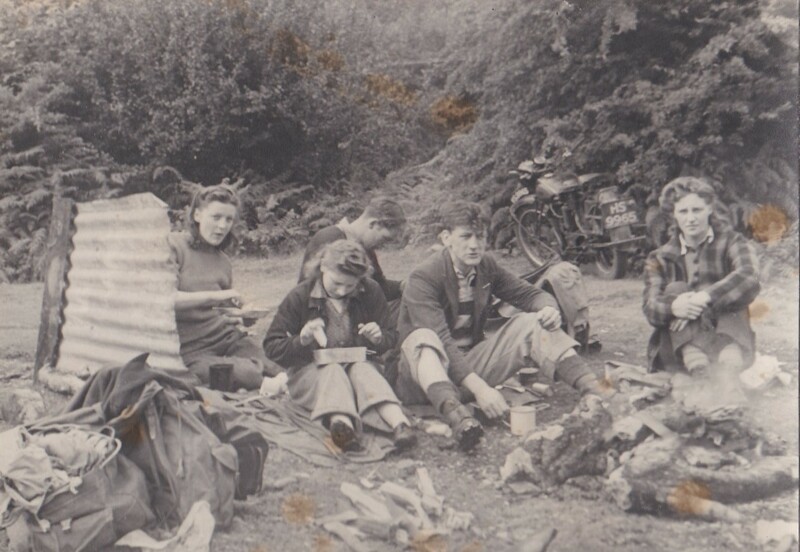 Bert would sit as a teenager with these older men and listen to their stories and songs whilst a “drum” of tea was kept going on the fire. He was recently delighted to attend the unveiling of a memorial to these people near Strathblane. 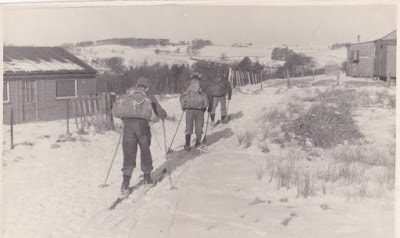 It was around the fire that the Lomond and Creagh Dhu Mountaineering Clubs were formed. 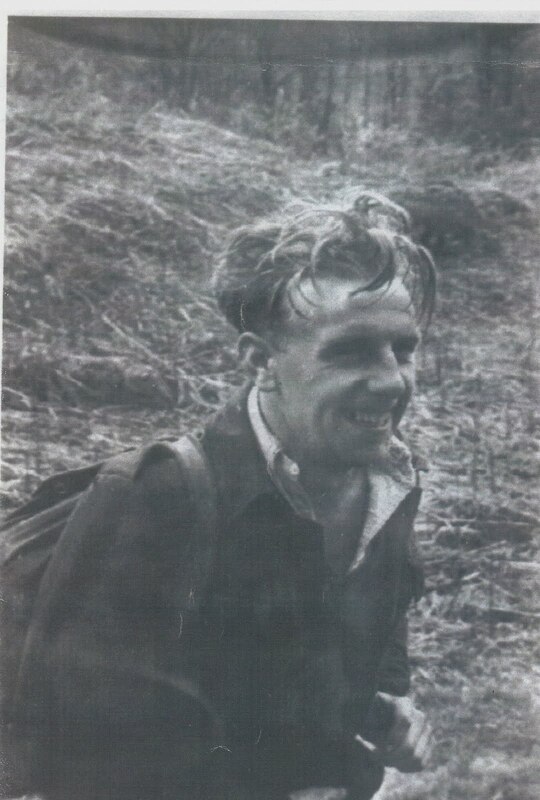 As a young man he started walking in the Campsies andKilpatrick Hills, where in 1938 he met his lifelong friend Tom McGuinness. Together they would cut their teeth as rock climbers on the walls of The Whangie. 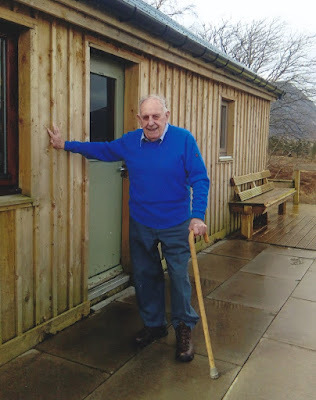 Other favourite walks were around Balmaha where, as a strong swimmer, Bert would often head out into Loch Lomond to retrieve a boat to take him and his companions out to the islands. 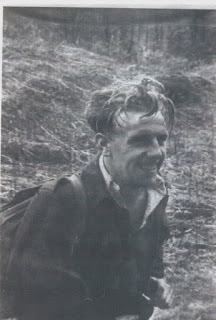 Ever practical, he and his friends would later build their own kayaks to spend weekends out on Loch Lomond. 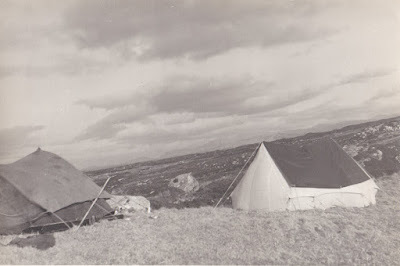 He was a great lover of sleeping out in the open air and told me of numerous dry nooks and crannies to doss down in on many a Scottish mountainside. 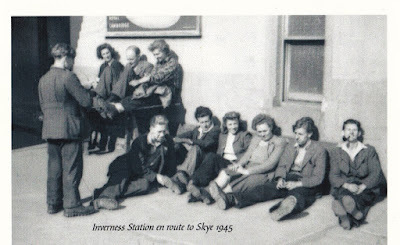 Later he became a member of the Lomond Mountaineering Club and on Saturday mornings, with members of the Creagh Dhu Club, they would often clamber onto the back of a Bryson’s milk lorry at Anniesland Cross, as it headed towards Campbeltown. Getting off near the Rest and Be Thankful, TheCobbler and the Arrochar Alps were soon within their reach. Sleeping out overnight, they would catch the lorry on the road back on Sunday night. The driver would get a shilling for his trouble and in the back of the lorry they could dip their tea cans into the tanks for some fresh milk. During the war Bert worked as a boilermaker on the Clyde, at the Clan Line Steamers Repairing Workshops. Occasionally this would involve passage on the ships as they went up and down to Liverpool or further afield. At weekends he was always back in the hills. Whilst his friend Tom could discreetly cut and fashion metal at his work in Barr and Stroud’s, to make nails for their climbing boots or create his own version of a carabiner, Bert would fashion ice axes and crampons in his workplace as their climbing abilities grew. On the night of the Clydebank Blitz, Bert and Tom were staying in a caravan at Halfway and became aware of the extent of what was happening the next morning as they came across families fleeing their homes. They gave up their caravan to some of them and spent a week off work helping the Scouts organisation set up tents and fires for those made homeless and forced to live under canvas for the first time in their lives. 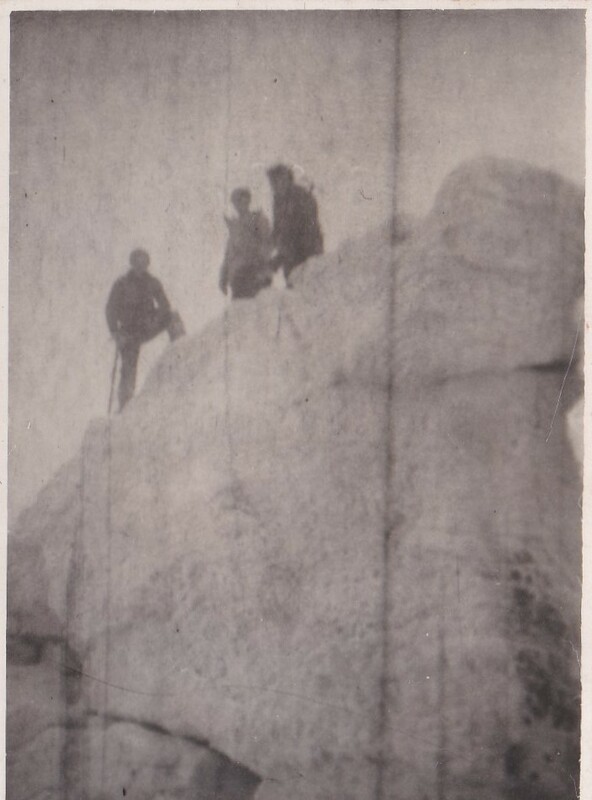 When heavy falls of new snow made climbing unsafe, members of the mountaineering clubs became the first people to ski regularly in Glencoe. The favoured spot was on Meall a’Bhuridh, above Ba Cottage on RannochMoor. 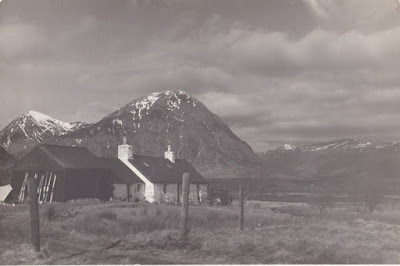 Ba Cottage was a substantial empty building over two floors, owned by the Black Mount Estate and it became a regular “doss” for the mountaineering clubs. After the Second World War ex-army skis, boots and other equipment meant that more working-class people from the cities took part in the climbing and skiing, and their popularity as recreation grew. Climbers from the Ba Cottage were known to poach the occasional deer, and in 1948 the gamekeepers decided that they had had enough. Occasional poaching was not unusual, particularly as the war years had led to an increase in deer numbers. However, Bert remembered that things came to a head after one of his companions did some poaching with a German machine gun that he had brought back as a souvenir from the war. 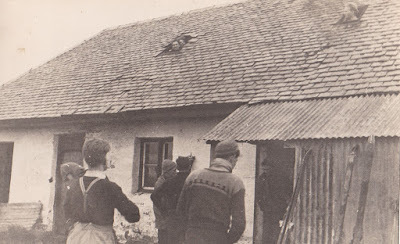 In response the estate gamekeepers felt a line had been crossed and burnt down the Ba Cottage. Undaunted, temporary camps of climbers grew up three miles further up into Glencoe. Using salvaged material from the Ba Cottage, and some tarpaulins from a railway yard in Tyndrum, Bert supervised his colleagues in building a new doss for the Lomond Mountaineering Club members from an old sheep fank, at White Corries near to where the Glencoe Ski Centre car park now sits. 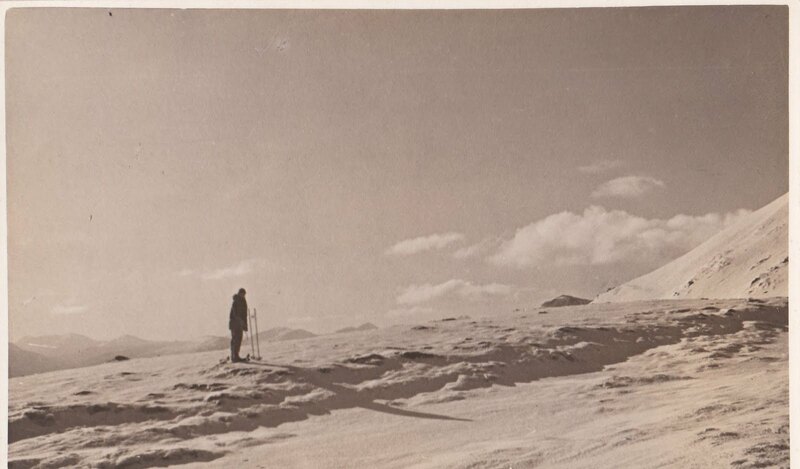 As an accomplished skier he travelled all over Scotland. He was spending a few days on Cairngorm with friends one time when famous hills man Tom Weir came clambering up the snow with his skis on. Amazed at the lack of polish on his wooden skis that had allowed him to do this, Bert lent him his expertise. After drying the skis by the fire, they were waxed up for him. Afterwards as Tom Weir whizzed down the hillside at a rate of knots, his red woollen hat and his gloves flew into the air as he disappeared over the horizon. Bert recalled that his immediate thought was "My God, I’ve killed Tom Weir." 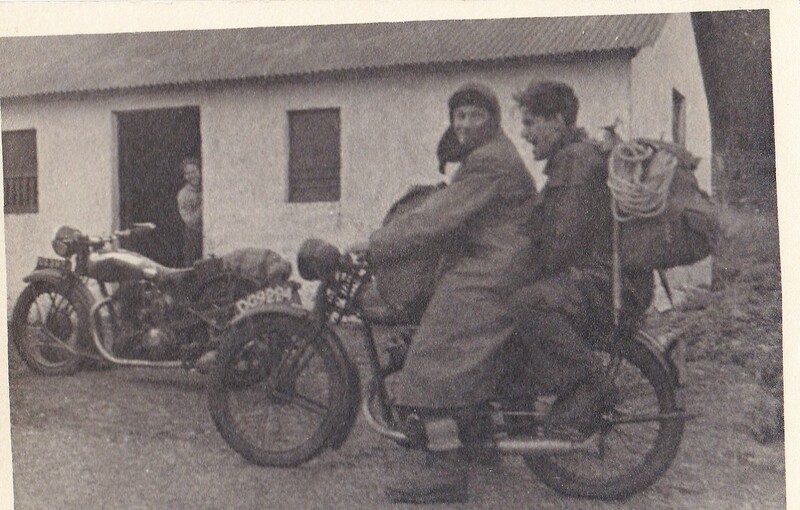 After the war Bert started motorbiking on an old Triumph, and as well as giving him the freedom to go further afield in Scotland, he undertook some expeditions into Europe. 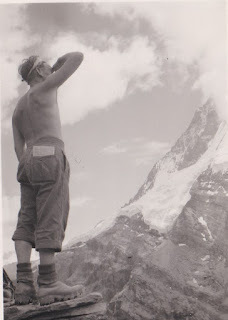 One of my favourite photographs of his, from July 1949, shows him eyeing up the Hornli Ridge and the north face of the Matterhorn. As well as the Matterhorn, with the Lomond Club he also tackled Mont Blanc, the Eiger, and Picos de Europa in Spain. On one of his trips to Europe on the bike, he was refused entry to a restaurant for not wearing a tie. He went back outside and returned having ripped up an old cloth to fashion into a makeshift tie. When he found himself being admitted, he tore it off in disgust and walked out. This attitude of walking away from stuffiness and rules was a lifelong characteristic. Whenever possible it was skiing he was returning to more and more often. 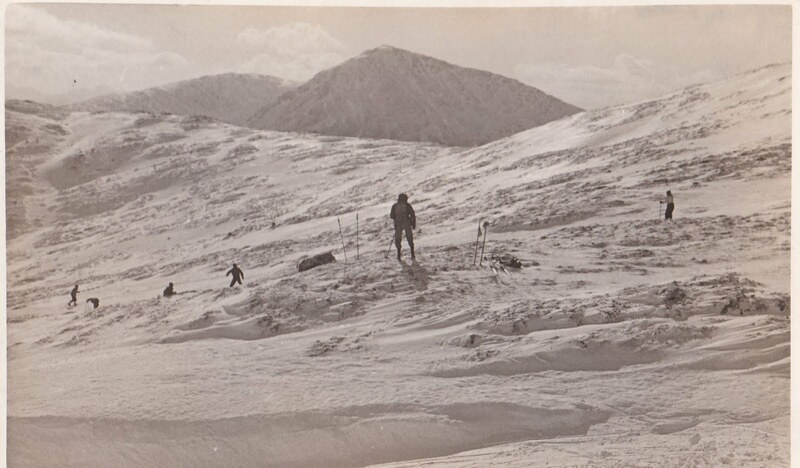 When heavy snowfall meant the buses could not run to Glencoe, the Campsies sufficed. 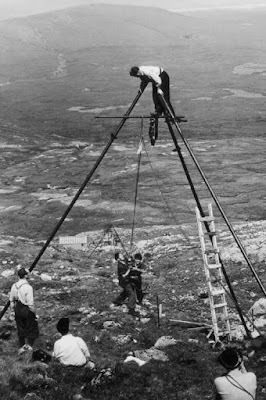 One highlight he remembered was in 1951 when a group of Norwegians set up a ski jump on Braid Hills in Edinburgh, though ski jumping did not seem to catch on. The Scottish Ski Club and Philip Rankin planned a ski tow at Glencoe to make the slopes there more accessible, and for this the engineering skills of Bert and several other members of the Creag Dhu and Lomond Clubs were exploited. 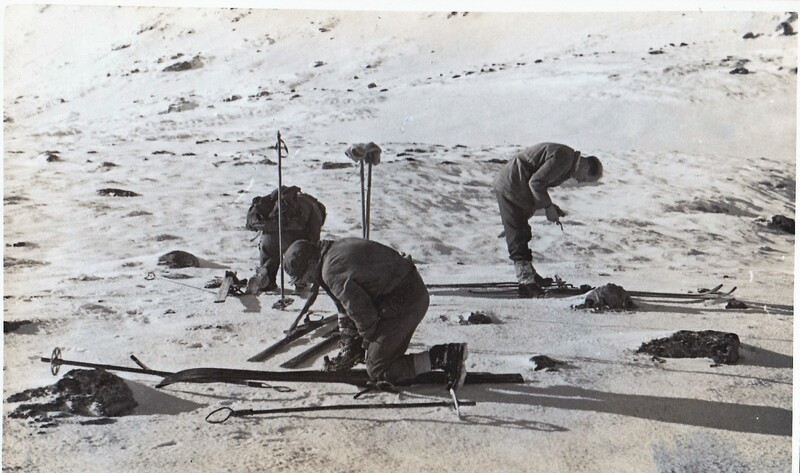 Forming volunteer work parties and man-handling the equipment up the mountainside, the ski tows they constructed took their first passengers up Meall a’Bhuridh in 1956. His advice was later sought in the Aviemore developments. In the 1960s he learned to become an accomplished seaman, sailing on a boat owned by his friend Glen Perry. Among his companions his excellent seamanship was greatly respected, whether in races or on trips to the islands. Later he was regularly deployed as coxswain on his cousin Jack Williamson’s boat. He developed an intimate knowledge of every rock, skerry and hazard on the treacherous waterways of the West coast and around the Sound of Mull. Years later in their 80s and 90s he still enjoyed an annual sailing trip up this way with old friends. 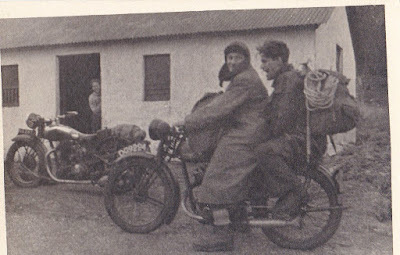 One frustration in later years was that whenever they approached St Kilda, the weather turned against them and stopped them ever being able to disembark there. 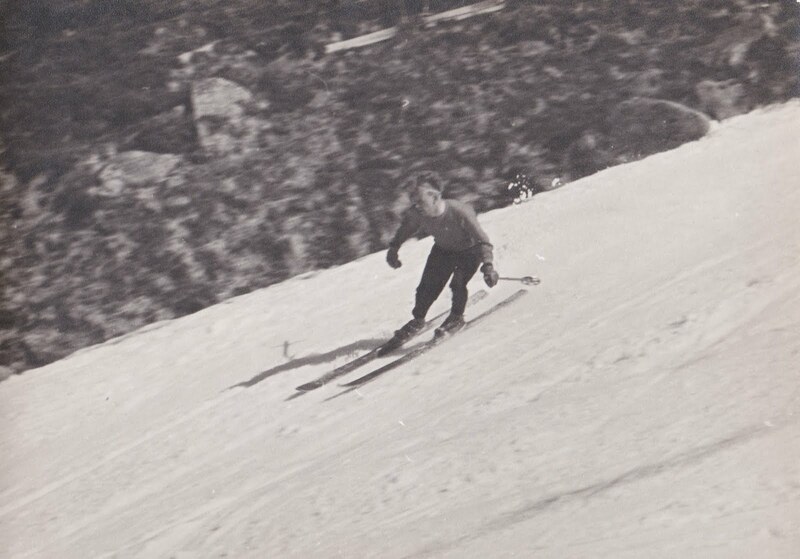 Glencoe remained his true home from home, and for years he was a familiar face on the ski slopes there. 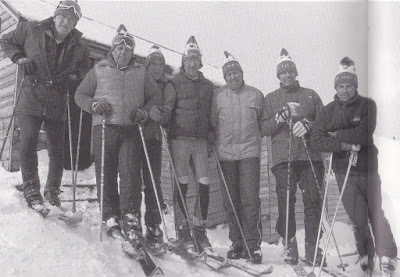 When Tom McGuinness became manager of the ski resort in the late 1960s Bert was recruited to lead the Ski Rescue team at weekends. 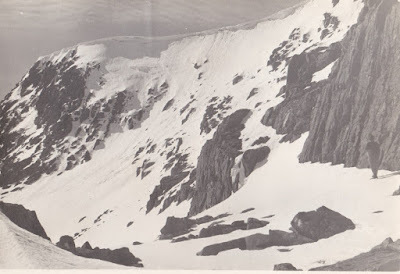 Alan Thomson’s book on Glencoe describes Bert as “the forceful leader” of the formative Glencoe Ski Rescue team, working there to ensure the safety of skiers and climbers over several decades. Their training came from years of personal experience on the hills and many of the casualties they dealt with over the years had suffered major trauma. In the early days friendly doctors would supply them with vials of morphine to give to any badly injured skiers or climbers, to help get them off the hills. The safety pin used on one occasion through an unconscious skier’s tongue to stop it slipping back and choking him as he was transported down the slope, is probably a technique that physicians no longer use. 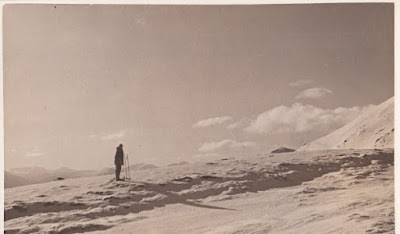 He married Jessie Thomson in 1950, and they shared their love of the Scottish hills, going away on many expeditions together, or further afield in the caravan he constructed for them. When her health was failing he spent many evenings up and down the roads to Ayrshire on his bike after work to visit her in hospital, and he was widowed in the early 1990s. In his 70s he met my grandmother, Edna Climie, who was also widowed. Their friendship grew and led to them living happily together for over 20 years. The pair of them were never at home, and a morning run in the car was as likely to end up in Norwich as it was Drymen. In later life he still took any opportunity to get into the great outdoors. 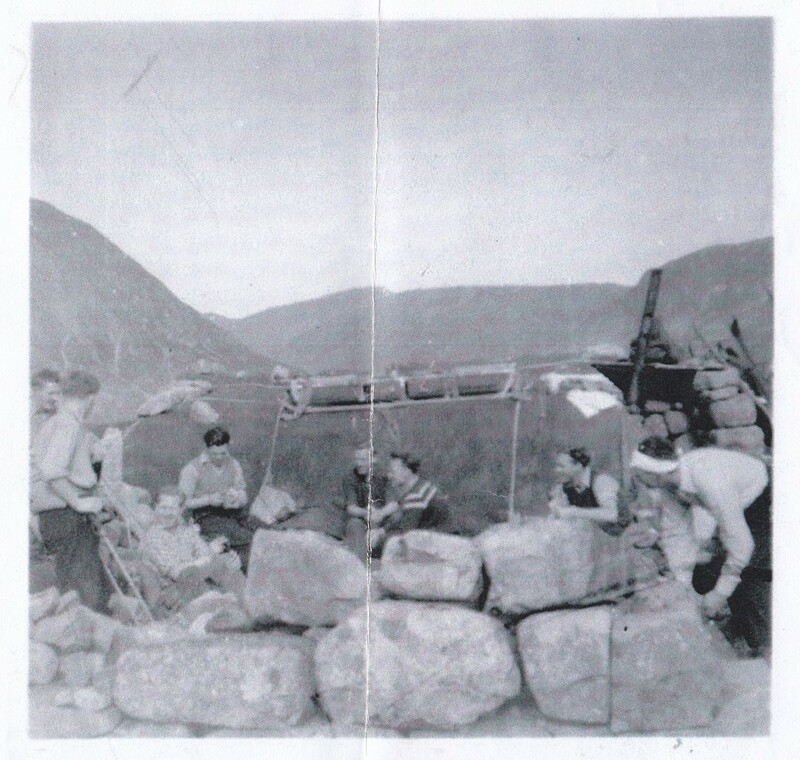 A group of old friends met twice a year to stay in the GlenBrittle Hut in Skye and head to Coire Lagan in the Cuillins, or to go on sailing trips. When these outings started they called themselves the “500 Club”, the combined total of the ages of the seven men getting together, but as it got closer to becoming the “600 Club” they were still getting out to the hills together. Bert continued to keep his orthopaedic surgeon's busy, as he returned to ski again in Glencoe in his 80s after getting knee replacement surgery. Latterly he became an attentive carer for my gran, after she developed dementia. Despite his own recent illness, he managed to continue looking after her in their own home until only a few days before he succumbed to the consequences of his exposure to asbestos in his early working life. Bert is of the generation of Scottish men and women who felt that we all had a right to use the land around us. Self-taught and highly skilled, these early adventurers did not shout about their exploits, but are the people who made the outdoors great for us all. For us no family gathering will be the same now without Bert's songs, laughter and fantastic stories. Glencoe (1939 - 1994) from Doug Bryce on Vimeo. Here are a couple of photos from February 2018 of the ruins of Ba Cottage, Glencoe Ski Centre and from Meall a'Bhuiridh. I went for a walk, taking Bert's old Bergan backpack to some familiar haunts. Funnily enough, the only deer that I spotted were above Ba Cottage, who obviously hadn't heard some of these old stories.